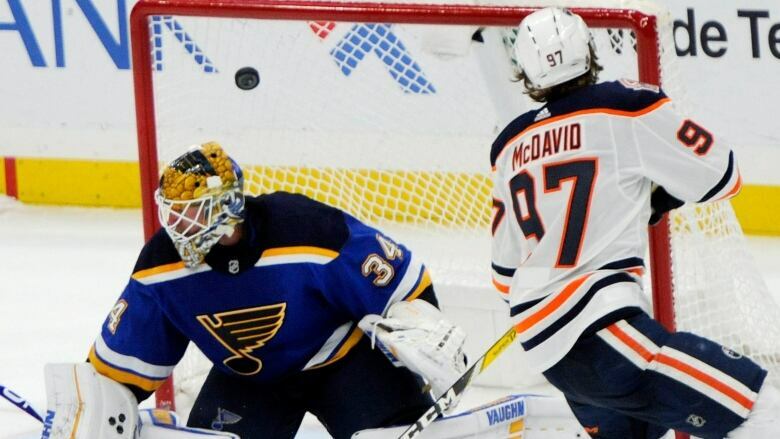 Connor McDavid scored in the shootout after Oscar Klefbom tied it late in the third period, and the Edmonton Oilers beat the St. Louis Blues 3-2 on Wednesday night. Connor McDavid hasn't always looked like a natural in shootouts. Klefbom scored with 55.2 seconds remaining to tie it at two, and Ryan Nugent-Hopkins and McDavid scored in the shootout. Nugent-Hopkins also scored in the second period, and Edmonton won for the fourth time in five games.